Our monthly #WebWednesday highlights recent website projects completed by our team. Each website showcases unique features that have been custom built for our clients. Interested in working with us? Contact us today! This month’s #WebWednesday highlights Cape Coral Soccer Association, the largest full-service youth soccer organization in Southwest Florida. 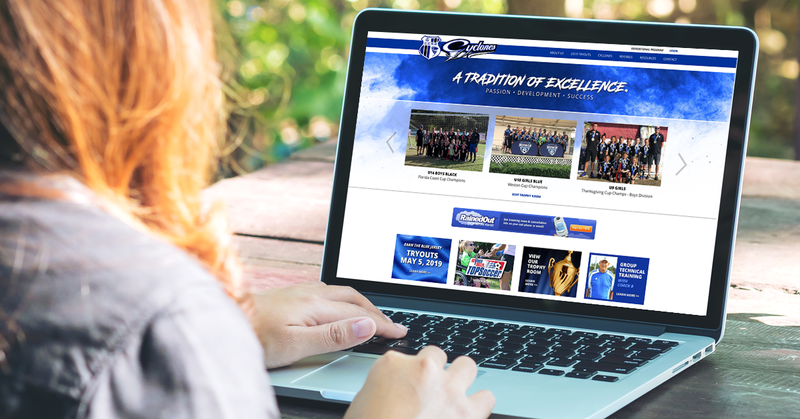 Our team of web developers designed and developed a new custom website for the Cape Coral Soccer Association, also known as CCSA. What makes this website unique is the fact that it is 3 websites in one. Called a “multi-site”, this allows the client to manage all 3 websites under one roof, rather than having separate websites spread out over different areas. This gives them greater flexibility in how they choose to manage the content on their individual sites, as well as greater control over where different users can post content. Now that the website has launched, Boost has continued assisting CCSA through the management of their digital marketing efforts. A comprehensive digital strategy has been put into place to manage the club’s social media and exterior communications, with the purpose of creating meaningful content that carries brand consistency through each of the club’s announcements. Each of CCSA’s social media profiles have been revitalized to carry along with the club’s goal of consistent messaging. Announcements posted to the CCSA website are optimized to appear specifically on each of the organization’s social platforms, including the creation of custom images for each release. Each post is thoughtfully created to include key information, such as links and dates, to better communicate important information to members and to the general public. Take a look at some of the recent posts and content we’ve produced for CCSA by finding them on Facebook, Instagram and Twitter. This month’s #WebWednesday highlights Yamas, a mediterranean street food restaurant located in Winston-Salem, NC. 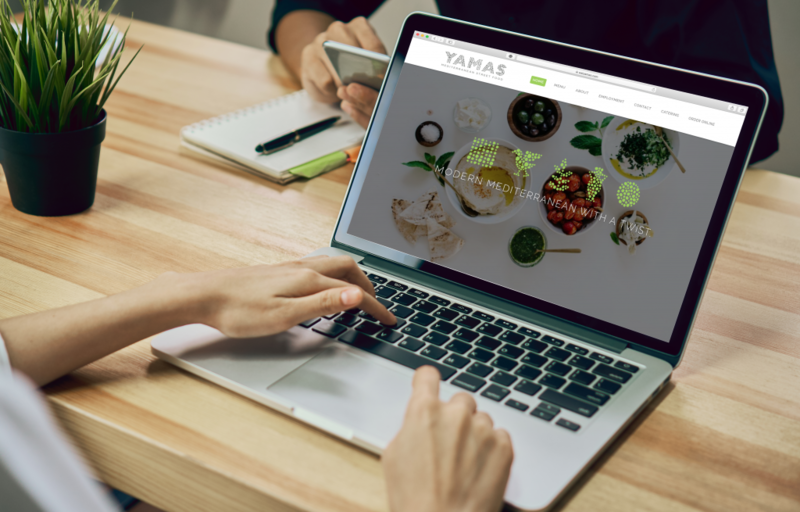 Our team created a fully custom website for Yamas that incorporates a custom designed menu page, a live social media feed in the homepage, and links to their online ordering system. Yamas is one of four restaurants owned by The Michael Family Restaurant Group, all located in the greater Piedmont Triad area of Winston-Salem, NC. Boost Creative is proud to have created the websites for all four restaurants and linked each location to one another by including the sites in the footer of each page. For this #WebWednesday, we would like to highlight one of our most recent projects – A fully customized website for Studio+, a Fort Myers-based architecture & design firm. 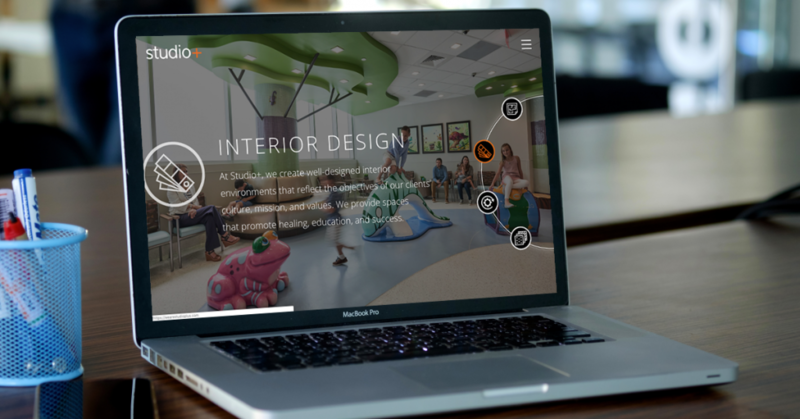 This unique website contains interactive features such as animated icons, video integration, and a seamless layout to reflect the company’s modern feel. Studio+ is an integrated architectural, interiors, lean, branding, and surfaces company focused on transforming the future of healthcare, senior living, and education.